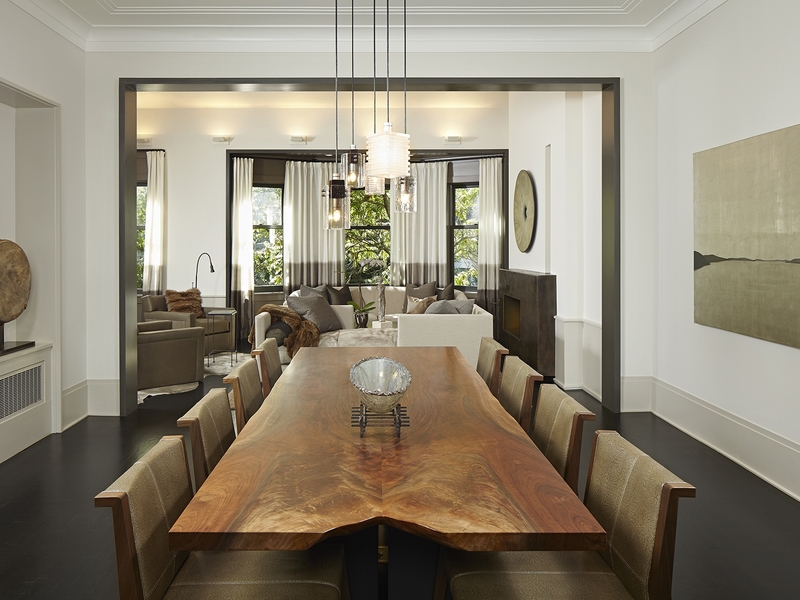 We transformed a 1,400 square foot vintage Gold Coast condominium into a modern pied-à-terre. 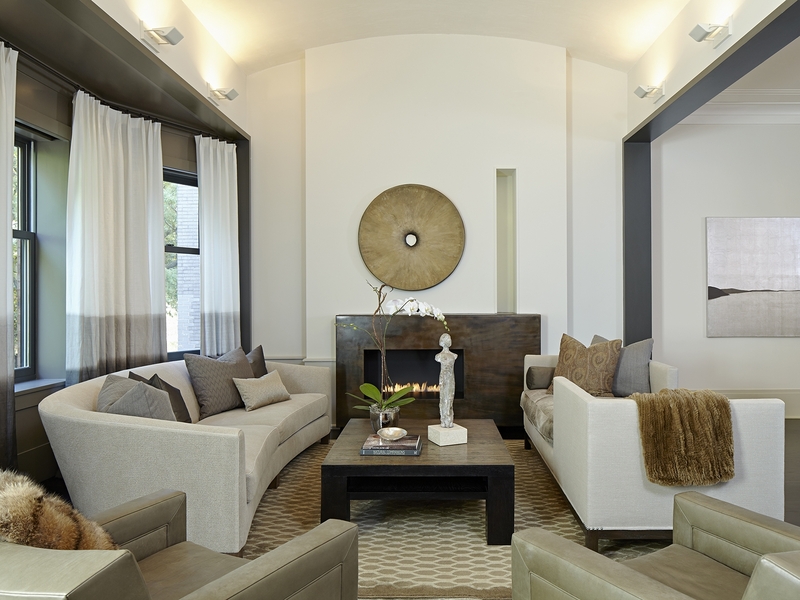 Rooms are well defined, yet the spaces and functions flow seamlessly. Movable panels close the kitchen, separate the bedrooms as distinct suites, or create his and her baths and a sitting room for the master. 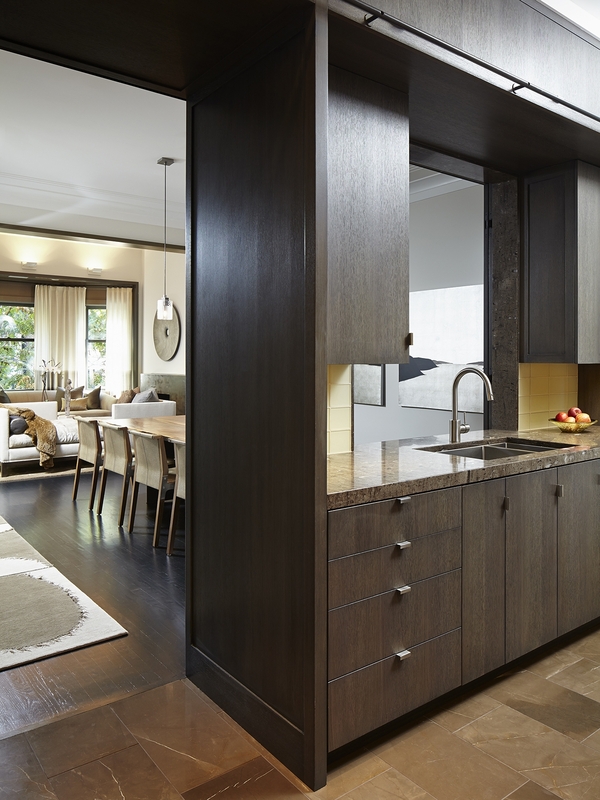 Millwork, reconfigured mechanical systems, and a home automation system, were employed to maximize the efficiency of the space, and seamlessly incorporate functional components. 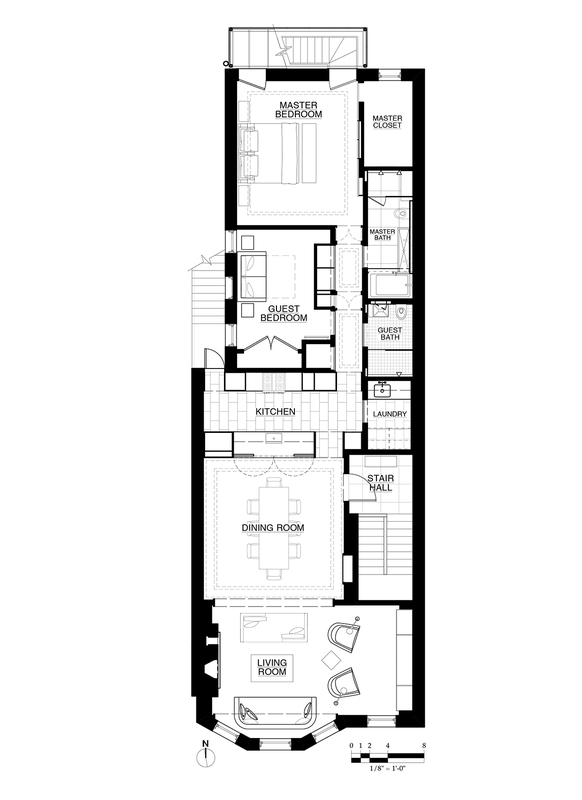 A paneled hall integrates doors for bedrooms, bathrooms, and closets into an elegant circulation sequence. A narrow palette of materials, developed in conjunction with the Client and Interior Designer, further enhance the apartment’s character. The green roof is an oasis from the neighborhood bustle below. 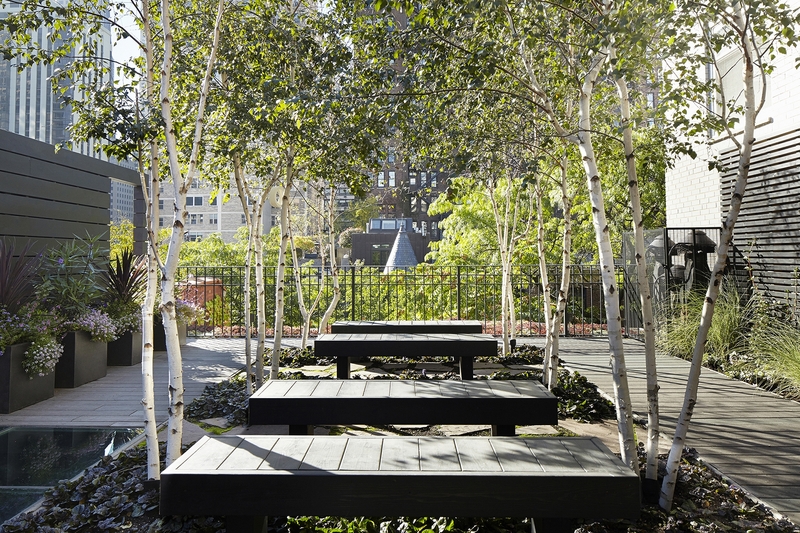 The lush landscape includes native plantings, a vegetable garden and modular pre-vegetated roof trays. 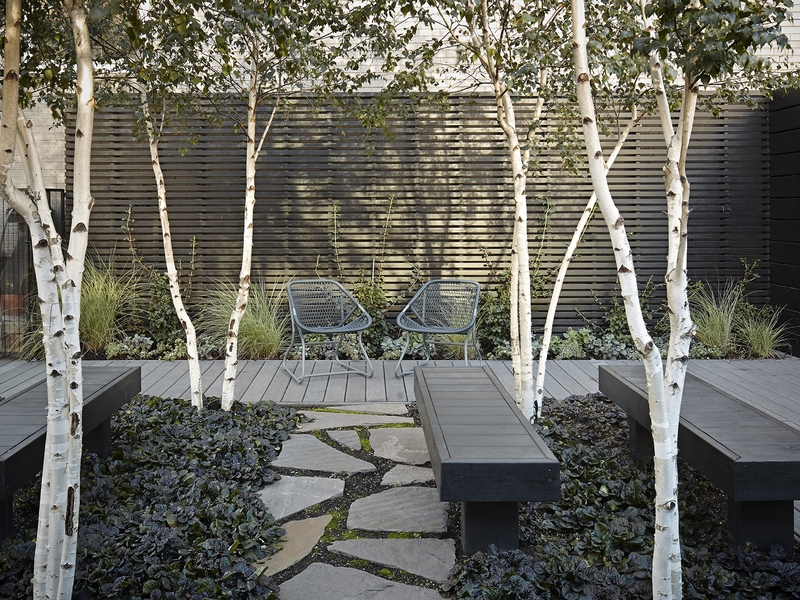 The large planter was created by spanning steel from parapet to parapet. This organized the space into a circulation perimeter for grandchildren to race scooters, and a contemplative garden for reading. A glass floor provides passage over an existing skylight. The charcoal stained screens are a quiet backdrop to the graphic plantings. The existing roof access stair was enclosed with a galvanized subway grating screen, cantilevered off the existing masonry. The floor of the enclosure added a small deck accessible from the master bedroom.